Faster carlines, safer students, happier parents, and less office work. Dismissal has never been so easy. Automate the dismissal process for 50% faster carlines. Reduce time spent on manual schedule changes by 85%. Validate every pickup and know where students are at all times. Improve communication and dramatically reduce wait times. Today's parents run their lives from phones. 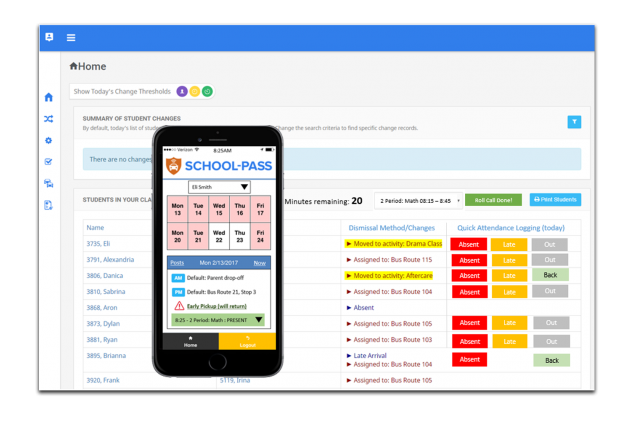 SchoolPass allows parents to update their child's schedule from an app. Parents can check on their child’s status at any time, keeping them informed, and happy. Updates are available on the dashboard. Notifications are sent to staff, teachers, and carpool drivers. Eliminating manual changes frees your staff to focus on what matters: education. Drivers are identified based on license plates, RFID tags, and GPS. Staff uses this information to organize students and quickly authorize pickups. In an emergency, every second matters. 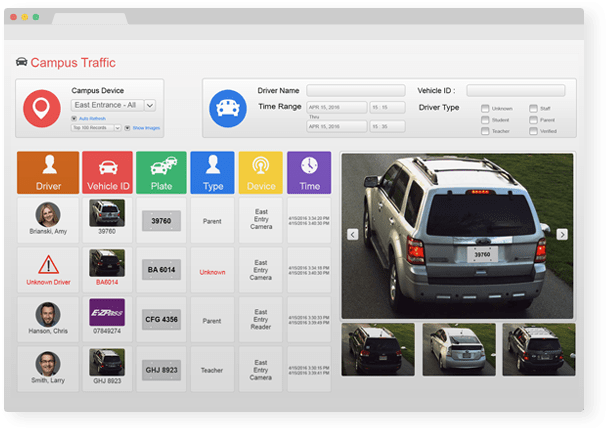 Cameras identify unwanted vehicles and automatically alert security. Staff can access up-to-date student locations to respond quickly. "SchoolPass made me a bit of a hero"
SchoolPass is much more than dismissal. 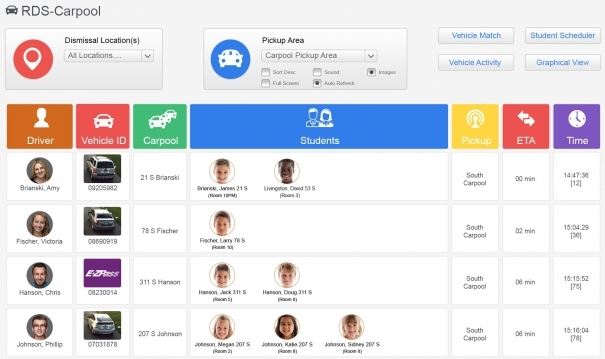 SchoolPass is a suite of safety and efficiency solutions that are seamlessly integrated with your SIS.